What Is The Badass Box? 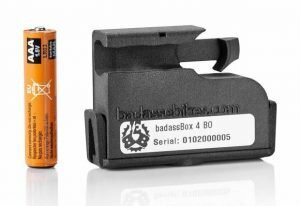 The Badass Box is a hardware unlocker which can be installed by simply by attaching the box to the appropriate location on the bike. Once attached the spoke magnet must also be moved to the appropriate place. After doing so the eBike is unlocked to approximately 50kph. While a simple and easy solution it has a few disadvantages. It is unable to display the correct speedometer values and thus other values derived from the speed are also inaccurate. The box can be removed relatively easily and the bike returned to stock form however for those familiar with the Badass Box it can be quickly spotted that your bike is unlocked. 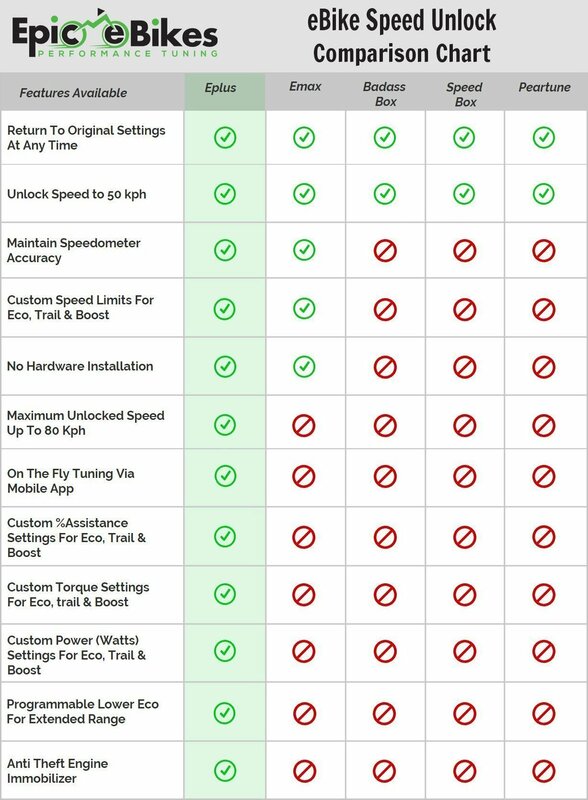 When comparing an Eplus software unlock there are many benefits. One key benefit being that it is a software only solution with no hardware that is susceptible to failure or that can be seen on your ebike. Another convenient feature is that the speedometer display and associated readings remain correct. 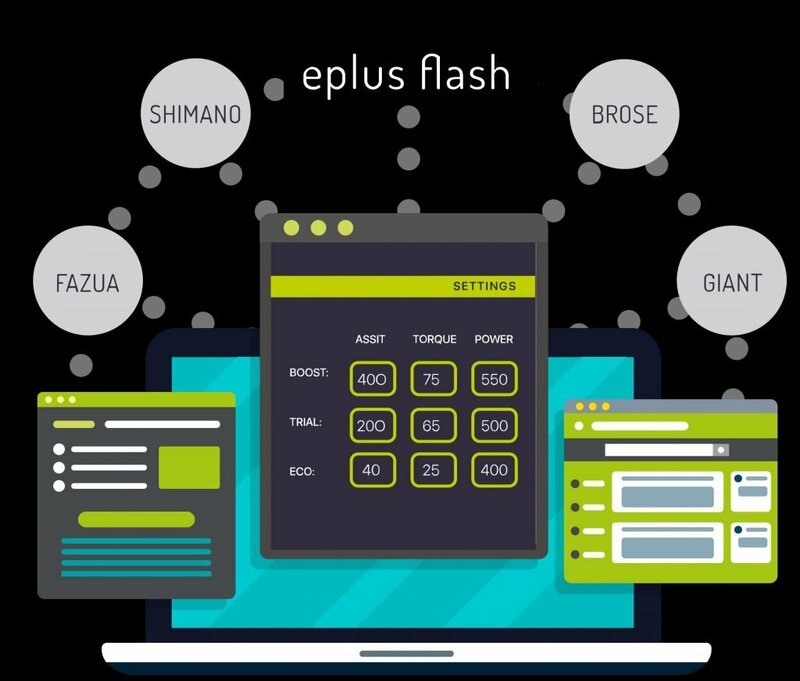 Once you have an Eplus software installed on your Shimano Steps E8000 you are able to customize all parameters for each individual assistance mode. For example you can set a speed limit of 25kph in eco mode allowing you to have a road legal setting. In Addition you can set the speed limit of trail and boost modes up to 80 kph. By doing this you can simply bypass the speed unlock by changing to trail or boost mode. The Eplus software unlock is accompanied by a mobile app that allows you to connect to your eBike via Bluetooth. Once Connected you can change tuning parameters at anytime, It also allows you to quickly revert to stock speed and assistance settings.